s.i.m.p.l.e n.o.t.e.s: Meet Frank William Abagnale Jr.
Meet Frank William Abagnale Jr.
As an addict of a "who dunnit" movie, I decided to collect information about famous white-collar crime cases. Here's my first pick. 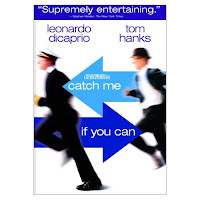 No teenager (even Leonardo Dicaprio) was as productive as Frank Abagnale Jr, now 59. A great forger who managed to pass $2.5 million fake checks around the world and a talented con artist who posed as “Frank Williams” the PanAm pilot, “Frank Conners” the pediatrician, “Robert Black” the attorney and later a college professor. In one of his scheme, he used a toy plane with PanAm sticker, a typewriter and later a printing machine to make his own PanAm payroll check looked official. All done between the age of 16 and 21. He was pursued relentlessly by F.B.I. check-fraud specialist, Carl Hanratty and featured in a Steven Spielberg movie, Catch Me If You Can. He was caught in 1969 and served time in French, Swedish and US prison. He was released on the condition that he would help the federal government, without pay, by teaching and assisting federal law enforcement agencies. He said the 1960s were far more innocent. People believed you were who you say you were. Now, check manufacturers creates checks that are difficult to copy, alter, or counterfeit. He later founded Abagnale & Associates, a legal fraud detection and avoidance consulting business and has been working with FBI for more than 30 years. "Happy Ramadan fasting, may Allah SWT bless you and your family, amin!" Btw, I've seen this movie and it was awesome! What a story! Kok komen ini aku baru liat ya? Kacau deh aku ini. click sana click sini , ilang sana ilang sini. It's really a nice and useful piece of information. I am happy that you shared this useful information with us. Please keep us informed like this. Thanks for sharing. I'm excited to uncover this web site. I need to to thank you for ones time due to this fantastic read!! I definitely appreciated every part of it and I have you book-marked to check out new things on your website. I'm gonna watch out for brussels. I will be grateful if you continue this in future. Lots of people will be benefited from your writing. Cheers! i can assume you're an expert on this subject. Well with your permission let me to grab your feed to keep up to date with forthcoming post. Thanks a million and please keep up the enjoyable work. say about this post, in my view its actually remarkable for me.